For quite some time now, BMW has been offering what they call the ‘BMW M Award’ to the rider who posts the fastest times in the qualifying rounds of the MotoGP championship. 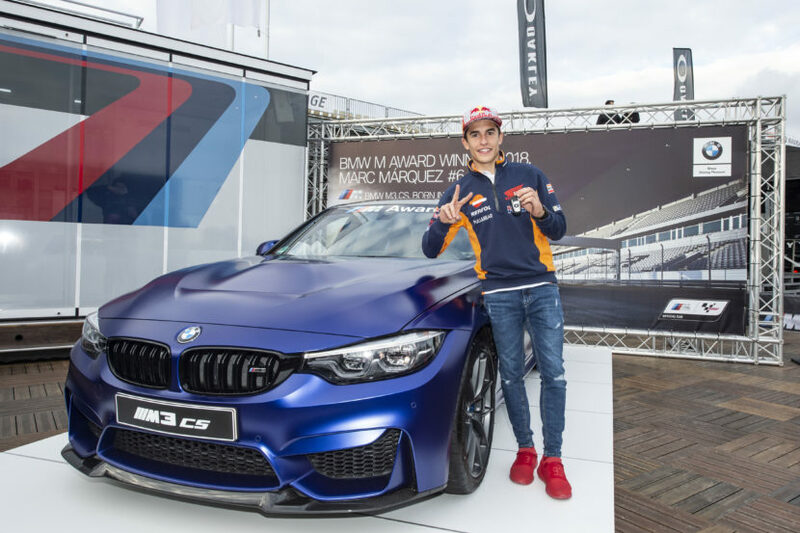 For six consecutive years that award has gone to Marc Marquez, who just took delivery of his latest addition to his impressive collection of rare BMW M models, a BMW M3 CS. The car was offered by BMW in Frozen Dark Blue and was delivered at Valencia, Spain, where the season finale of the MotoGP took place this weekend. The BMW M Award has been offered since 2003 and so far, Marc Marquez is the undisputed champion in this regard, having claimed six consecutive awards so far. 2018 also marked an important milestone for BMW M as the Germans celebrated the 20th season as the ‘Official Car of MotoGP’. 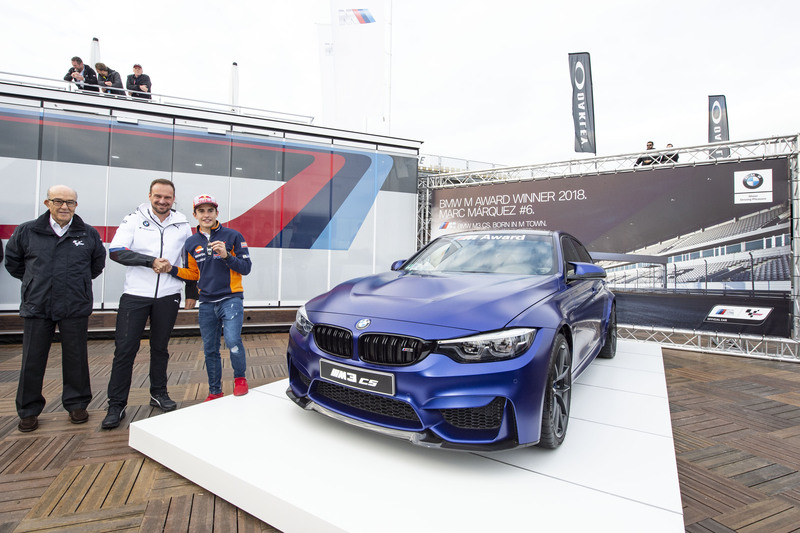 The car for this year’s winner was handed over to Márquez by Carmelo Ezpeleta, CEO of MotoGP organiser Dorna Sports, and Markus Flasch, President of BMW M GmbH.